Teams of five with one Coach are eligible to enter our Tug 'O' War Competition. Win our 'Gallus Gael' Tug 'O' War Cup which will be engraved with the winning teams name & displayed in the Marigold Theatre Sports Hall of Fame as well as a cash prize. You will also receive a Medal to commemorate your achievement and take home the cash prize. The Tug O War is an all day event and is open to both men and women. Mixed teams accepted. Please ensure your team has checked in at the registration table prior to the competition start time. Teams of Five will compete against each other in rounds leading to the final. Please make your team aware of the rules. Please read the following rules prior to completing the application form. Signed waivers will be required prior to the start of the competition on the day. Please note - Entry to competition must include this signed waiver. Please read the rules (above) prior to completing the application form. 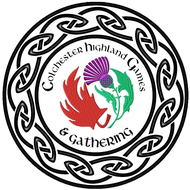 Please send completed forms to Events@colchesterhighlandgames.com or hit send below and bring your waiver on the day of the competition. entry fee ($30 - $5 per team member) and Waiver.